For Bollywood’s new Kashmiri entrant its acting that matters, not looks. Son of a 1995 Bohri Kadal massacre survivor, Abrar Zahoor enjoys accolades post Neerja success, Shakir Mir reports. A few months back, his entry on the silver screen as a Palestinian hijacker in Sonam Kapoor starrer Neerja made more than just heads turn in blink-and-you-will-miss Bollywood. Displaying a skull cap, customary beard and kohl-rimmed eyes, he thrusts his way onto the aisle, terrorizing passengers in the Pan Am Flight 73, taking them hostage. Unlike his on-screen role, Abrar Zahoor, 26, doesn’t believe in the popular but misconstrued definition of a terrorist. An alumnus of Woodland School Sonwar, Abrar always had that necessary rigour required to make it big. “I was passionate about acting,” he spoke to Kashmir Life over the phone from Mumbai. Abrar left Kashmir in 2005 to study and simultaneously pursue his goal. He did a diploma in 3D animation and filmmaking at Maac. He walked on ramp for various agencies in Chennai and Bengaluru during his struggling years. Abrar is a trained actor with a degree from the prestigious John Barry acting school in Delhi. He put a fine foot forward in Bollywood by romping away a negative role which critics seem to have liked. For eight long years, Abrar had to struggle. It was his serendipitous moment when he received a call for auditions and secured a selection for the role. Though Abrar would not speak directly about the conflict back home but he has a curious connection with it. His father Zahoor Ahmad, a businessman, was nearly killed by the BSF troopers on February 11, 1995, at Gaade Koch near Bohri Kadal. Pickets of Indian military personnel went on a rampage after militants decamped with their service rifles. The gun-wielding personnel barged into Zahoor’s office and trained a gun at his back. Just as they were about to fire, BSF 1 Bn Commanding Officer, ordered his men to spare him as he had been Zahoor’s regular customer. When the shoot-out ended, nearly seven persons were killed and countless injured. “I was at home that time,” he chuckles. Abrar wants to motivate the young Bollywood aspirants from Kashmir. He believes it is not just good looks that matter, acting skill does. Abrar had to undergo six months of rigorous training including a crash-course in Arabic. He imbibed quintessential Palestinian mannerisms and stayed in close confinement for days together to ensure that real angst and fury appeared on his face. 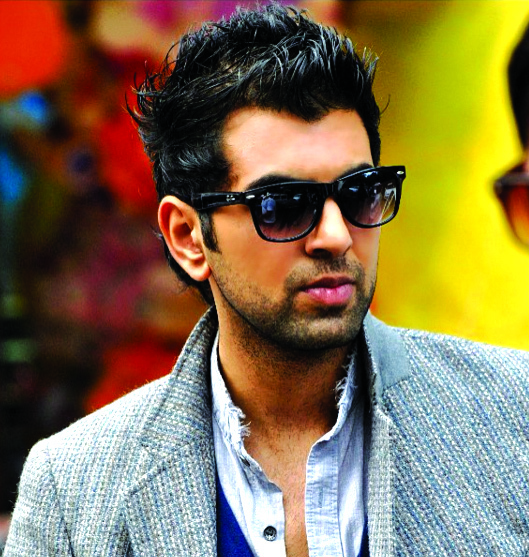 Abrar has many more upcoming Bollywood projects in the pipeline. Though he was not authorized to speak about his plans, he nevertheless revealed that in his next movie, he will star opposite a “top shelf” Bollywood actress.